Check out our brand new Trackless train. This Electric drive trackless train can go indoors or out its electric drive means no noise and no dirty exhaust. 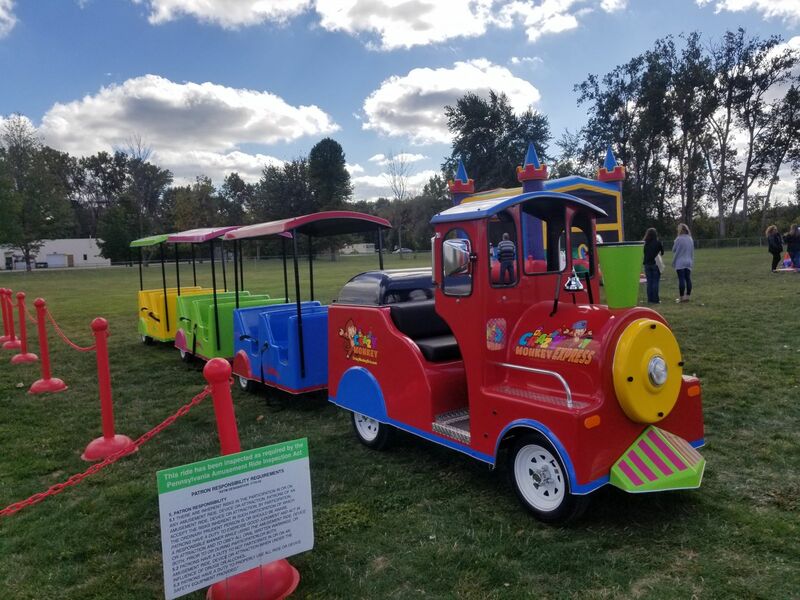 Let the fun begin at your next big event with train rides for children and adults alike with plenty of room and plenty of power this train can run for long periods of time and can go indoors or outside on grass or concrete. The Crazy Monkey Trackless train ride has led lights a sound system to play your favorite music and a classic train horn for a super ride experience. Bright colors and plenty of room for riders 18 children or 12 adults and any combination in between. This train can come to your house for a birthday party or go to a convention center for your next big event. We have signs available to put on each car for sponsors to your large events. The trackless train is super fun for just about everyone.